Since 1986, EduCap has provided and administered billions of dollars in student loans to hundreds of thousands of qualified students and their families. EduCap makes its student loan programs available direct to consumers, as well as through secondary channels such as corporations, associations, and other affinity sponsors. EduCap was the first to develop a non-government credit-based education financing product in the United States, which led to the creation of the multibillion-dollar private student loan industry. EduCap was the first to securitize student loans on Wall Street, uniformly attaining AAA ratings. 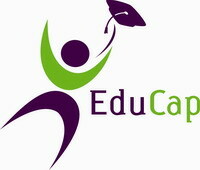 EduCap was the first program developer and administrator to market private student loan programs directly to the consumer. EduCap was the first to design and implement a fully-automated origination and servicing platform for credit-based student loans. EduCap was the first to develop customized credit scoring models and incorporate risk-based pricing into education financing products. EduCap was the first to bundle complementary products, such as a personal computer for use at school, with private student loans. EduCap was the first to provide access to education financing as an employee benefit for corporations. © 2016 EduCap Inc. All Rights Reserved - Loan to Learn and the Loan to Learn Logo are registered trademarks of EduCap Inc.
Loan to Learn is a program of EduCap Inc., a not-for-profit organization dedicated to making education affordable for America's families.